Based on the BBC TV series the original cast brought the comedy show to live audiences in 1979. 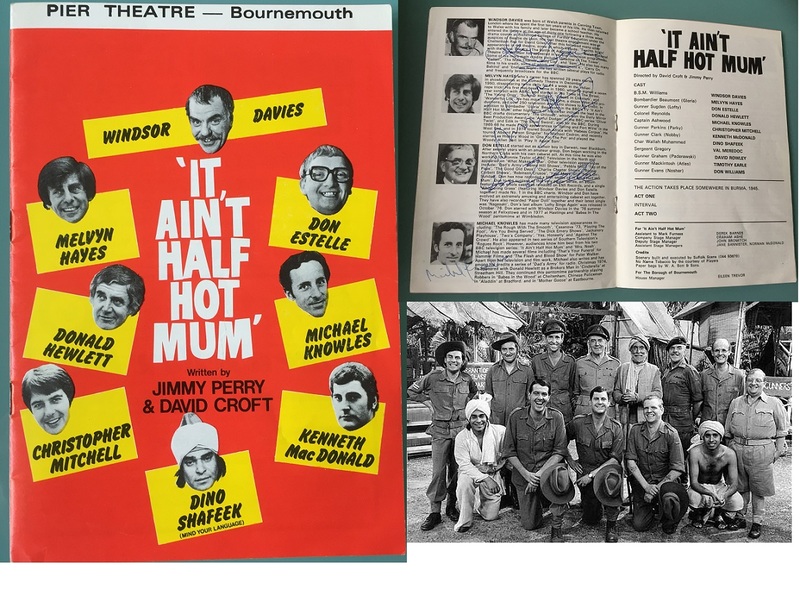 Here were have an original program signed at Bournemouth Theatre - June 25th 1979. All the actors have signed their respective photos and Biographies in the program. 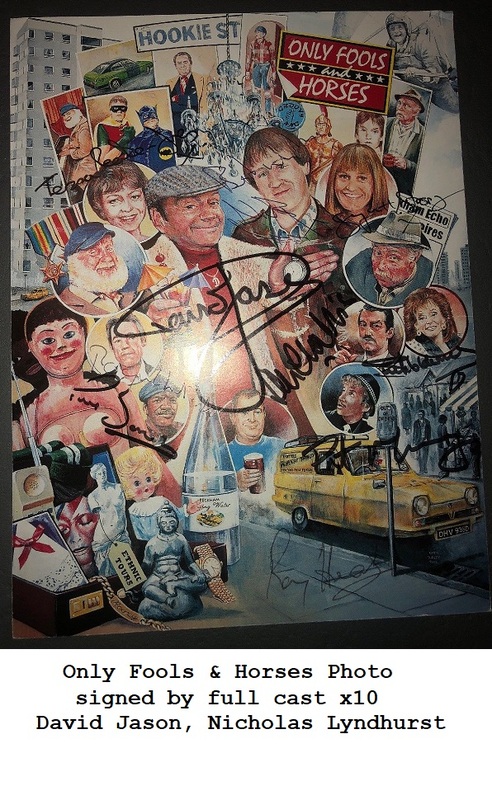 A very rare set of autographs for this legendary BBC TV series !!! Would appeal to Dads Army fans, as the show was written by Croft and Perry ! Many of the actors are no longer with us, and this is possibly unique, as there are very few programmes in existence. Note: The large cast photo is shown as a presentation idea only (not included) .